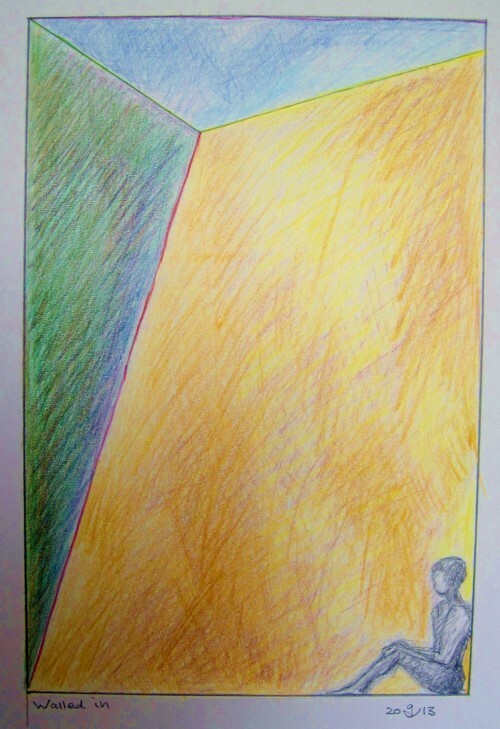 The interpretation of this drawing depends on senses, intellect and mindset of the viewer and is likely to range considerably between individuals. 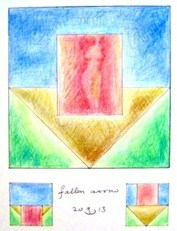 Depending on what the viewer thinks is depicted. Did Freud say that we are all born with the trauma of birth? Trauma or not, we all start life from a women's womb and therefore must start life from the female perspective - even if we did not see it. 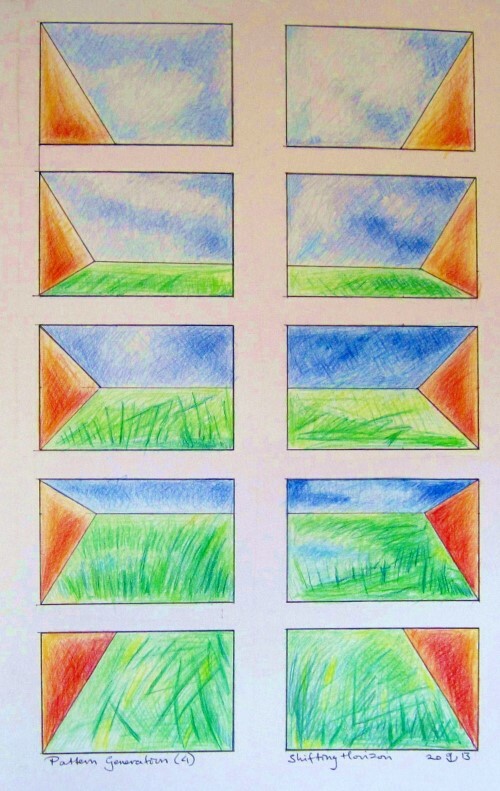 Let me add that in direct perception the landscape part, the sky and the greens, are considerably brighter, and not dominated by the "cave" from which the scenery is seen. Rupture. 2013, coloured pencil, 26 x 21 cm. Fallen Arrow. 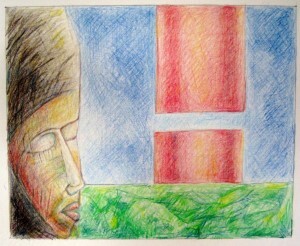 2013, colour pencil, 15 x 20 cm. 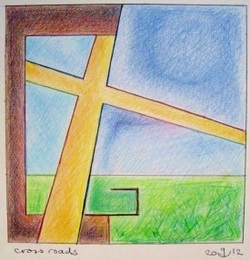 Crossroads. 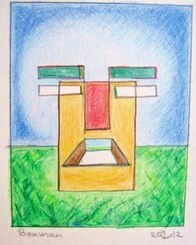 2012-13, colour pencil, 25 x 25 cm. Rosa di Pomplona, Art Historian. 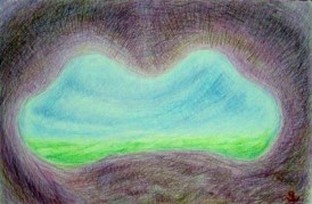 2013, colour pencil, 19 x 28 cm. Pattern generation 4: Shifting Horizon. 2013, colour pencil, 31.5 x 53 cm. Boxman. 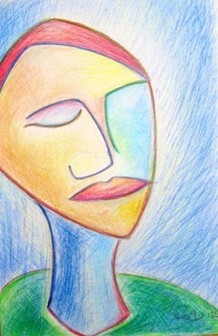 2012-13, colour pencil, 16 x 20 cm. Bird tree. 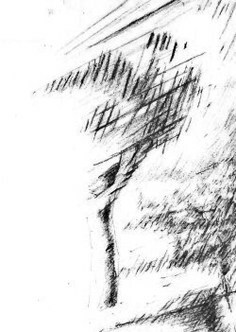 2013, pencil, detail. Wings. 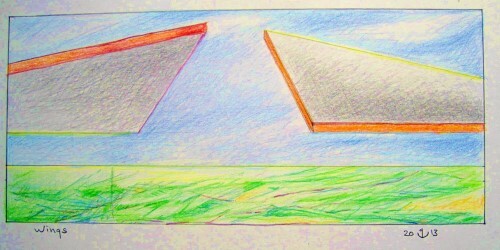 Colour pencil, 2013, 34 x 15 cm. Walled in. 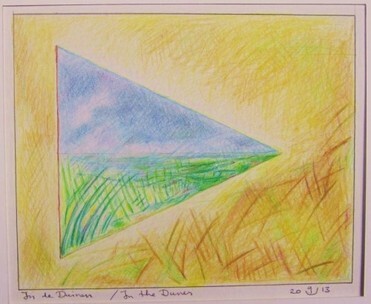 2013, colour pencil, 24 x26 cm. In the Dunes. 2013, colour pencil, 25.5 x 36 cm.